You enter the house into a large and light hallway with tiled flooring. The hallway is the gateway to all of the living space with the formal sitting room on your right. 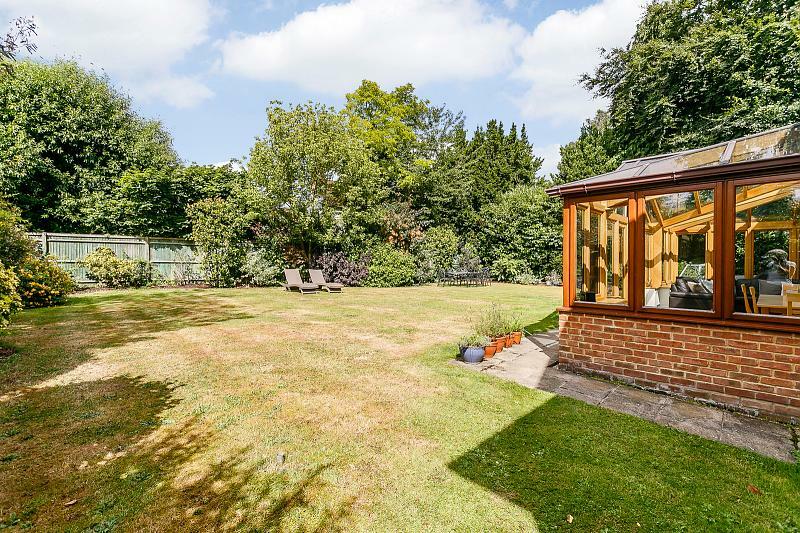 With a double aspect, French doors in to the dining and out on to the enormous patio and rear garden, this is an extremely light room with wooden flooring and fireplace making is a perfect spot to relax during all the seasons. The dining room is accessible from the kitchen, the hallway or the living room giving the house a lovely flow. 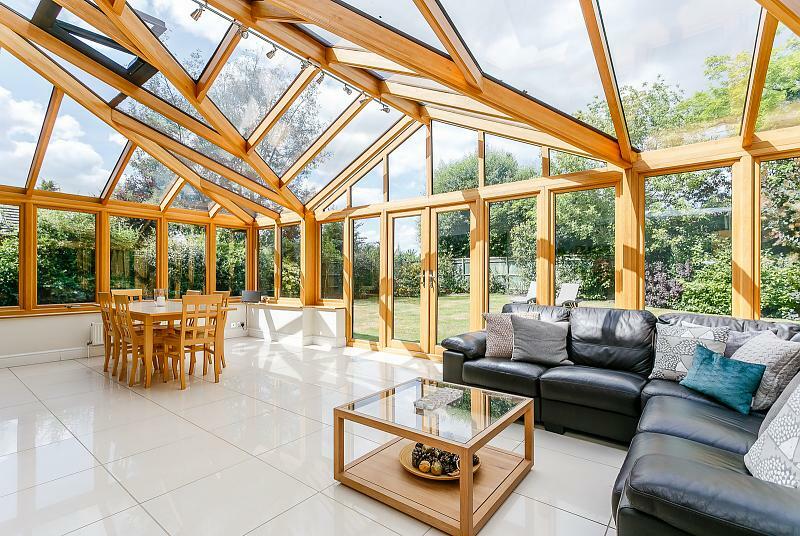 You weave out of the dining room to the spectacular orangery which is underfloor heated and is a stunning area from which to enjoy the privacy of the garden all year round. 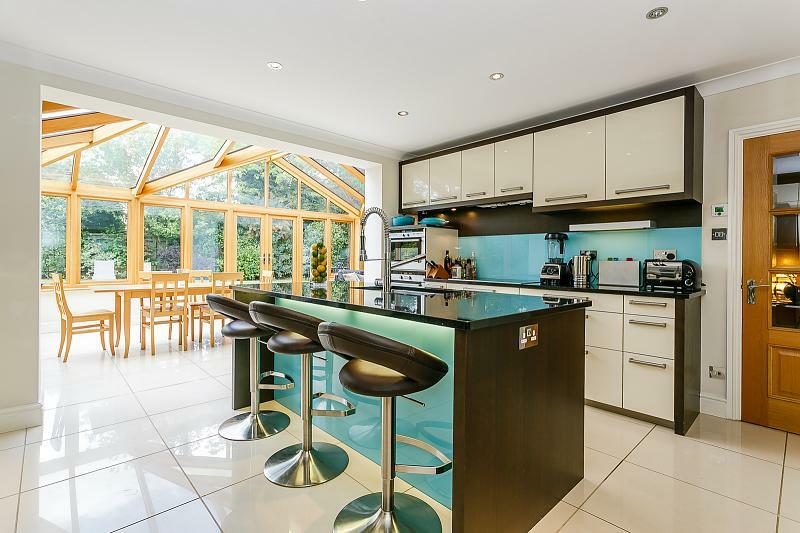 The kitchen is open to orangery, the hallway and separate family room and extremely well designed with a large island and a range of modern appliances. The tiled flooring from the hallway continues through here. Separate to the kitchen is the utility which gives access to the rear garden and double garage - currently used as a gymnasium. 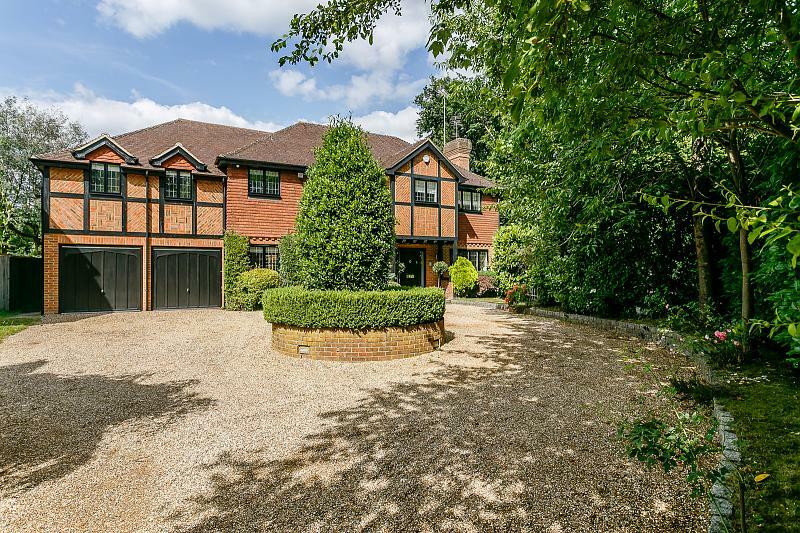 Overall few houses offer such flexible space for growing families!On the first floor the house continues to impress with the landing providing access to six bedrooms and additional loft space. Bedroom six is currently used as an office but is a comfortable double bedroom should you require all six bedrooms for that purpose. Bedroom three, four and five are all double bedrooms with room for homework desks and fitted cupboards. These bedrooms share the use of the gorgeous and modern family bathroom which is fully tiled and benefits from a separate walk in double width shower as well as a bath, perfect for busy families. Bedroom two is another double bedroom with fitted cupboards which currently has exclusive use of an impressive and modern shower room. The master suite, as you would expect, is the most impressive of all. 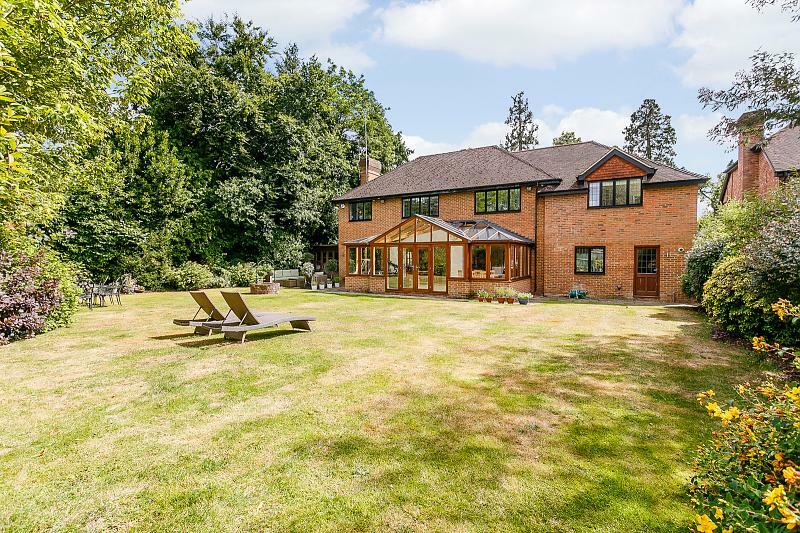 With vaulted ceilings and the best view of the rear garden and beyond, the fitted dressing room and luxurious en suite bathroom with separate shower and bath are but extras to this impressive space. Taking up the full depth of one end of the house the master feels tucked away from the rest and is the perfect private space from which to close the door on the rest of the family.